I was heading out on an epic, “once-in-a-lifetime” journey that involved a beautiful historic train, an iconic hotel, and 4 glorious days in Venice, Italy. So, when I took off to Brussels, I wasn’t even thinking of it as a destination. It was just the city where I had to catch the train. I had a day and a half “to kill” and did zero prep-work to plan my time. Boy did I do myself a disservice! Despite the incredible experiences I had on this trip, I think back to my day in Brussels most fondly and I hope I get an opportunity to redeem myself and do the city justice with a proper itinerary next time! 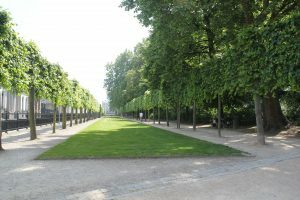 First of all, Brussels is incredibly accessible and easy to get to from the east coast! We flew overnight on a direct US Airways flight from Philadelphia – nice and easy! The drive from the airport to the hotel was a highlight for me. I immediately fell in love with the historic architecture in the residential neighborhoods. Next time, I’ll plan for a leisurely driving tour en route so I can take in more of the city. Also, I learned that Brussels is only a 2 hour train ride from Paris and the two cities pair together very well. I may consider this for my next European Itinerary and skip the nightmare that is the Charles de Gaulle airport! 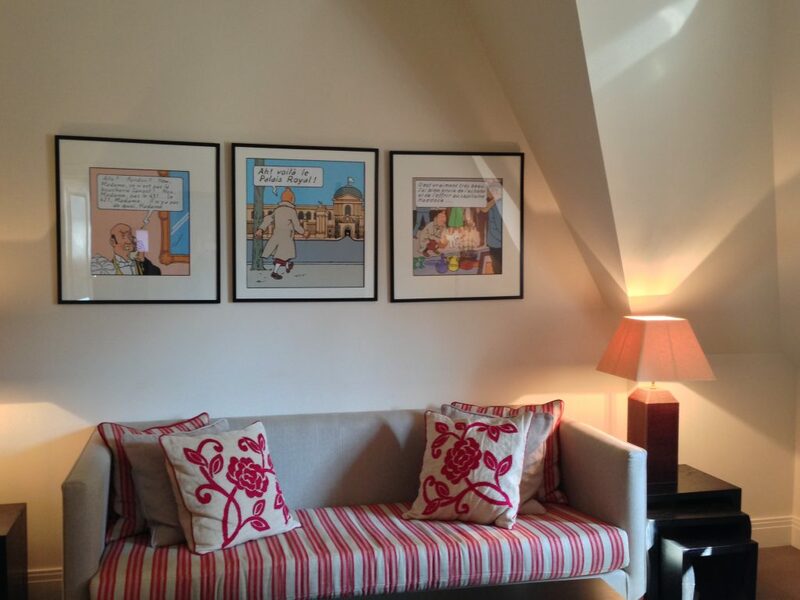 My room was the Tin Tin Suite with decor inspired by the popular Belgian cartoon. This large suite has a separate sleeping and living space and 1.5 bathrooms with a formal entryway and bonus dressing room. The layout along with the playful decor makes this suite perfect for families! I also really enjoyed the top floor views of the intricate City Hall. The hotel is housed in a building more than 500 years old that has served as a hotel for much of its life, but also did a turn as a prison. The current lobby floor is paved with cobblestones dating from 620 that were salvaged from the nearby city streets when the hotel was restored. The Hotel Amigo is a perfect blend of historic and modern elements with the characteristic Rocco Forte eclectic flair. In Brussels, Beer is the Answer! 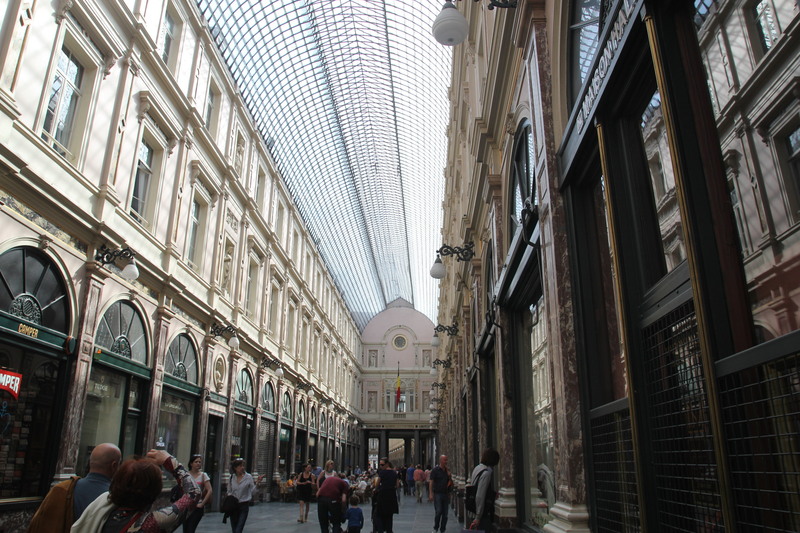 Step outside the hotel and you are in the heart of Brussels’ with the Grand Place, Galerie Royales Saint-Hubert, and so much more right at your finger tips. Since I hadn’t done any homework before arriving, I left the agenda completely up to my husband, Josh. Naturally, we spent quite a bit of time tasting Belgian beers, but I also found time to do some chocolate shopping! I would absolutely work in more formal beer and chocolate tasting tours next time. Both of these industries have such interesting histories in Belgium and I want to know more! We were there in mid-May; the sun was warm, but the spring air was still crisp. It was perfect weather for walking, exploring the many flea markets, enjoying a meal at an outdoor bistro, or maybe having a picnic in the Parc Royale. Enjoying the Bar Amigo. 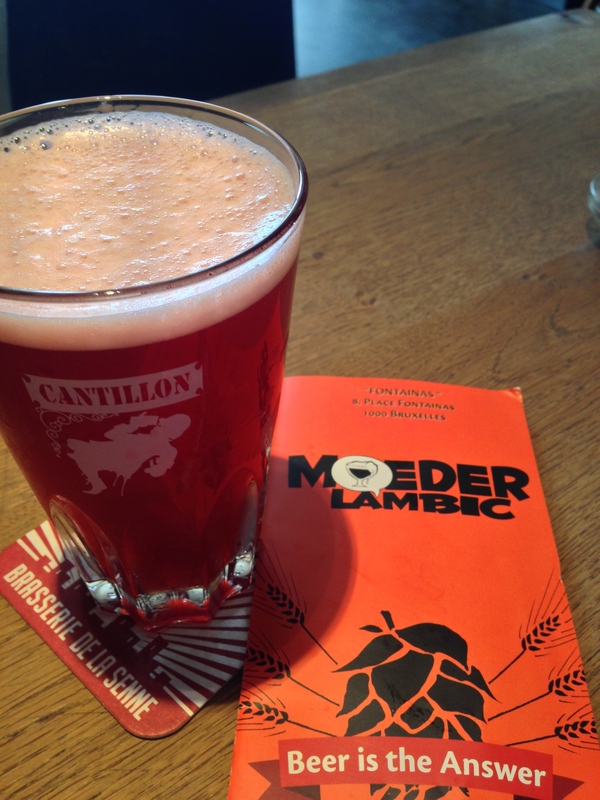 Yes, there is more to drink in Brussels than beer! 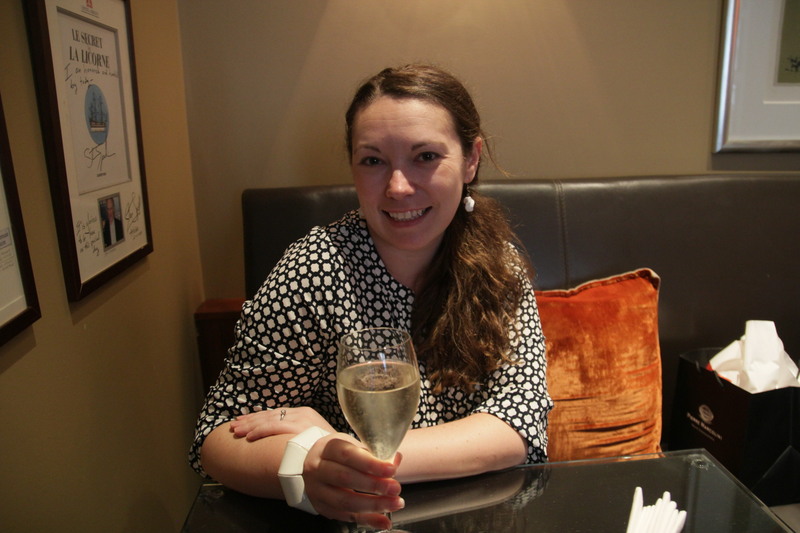 This entry was posted in Europe, Hotel Reviews and tagged beer tasting, Belgium, Brussels, chocolate tasting, hotel review, Rocco Forte. Bookmark the permalink.